How do you respond when your clients ask you how much carbohydrate they can eat? 2. The amount of carbohydrate is directly proportional to the portion size. I created 2 visually appealing slides that have been a hit with my patients. They will help you teach like a pro in a short period of time! Avoid the hassle of explaining the difference between serving and portion size. Download these 2 slides and use them in your presentations or as handouts in your counseling sessions. Pair your slides with props. Check out the Nutriportion™ measuring cups. 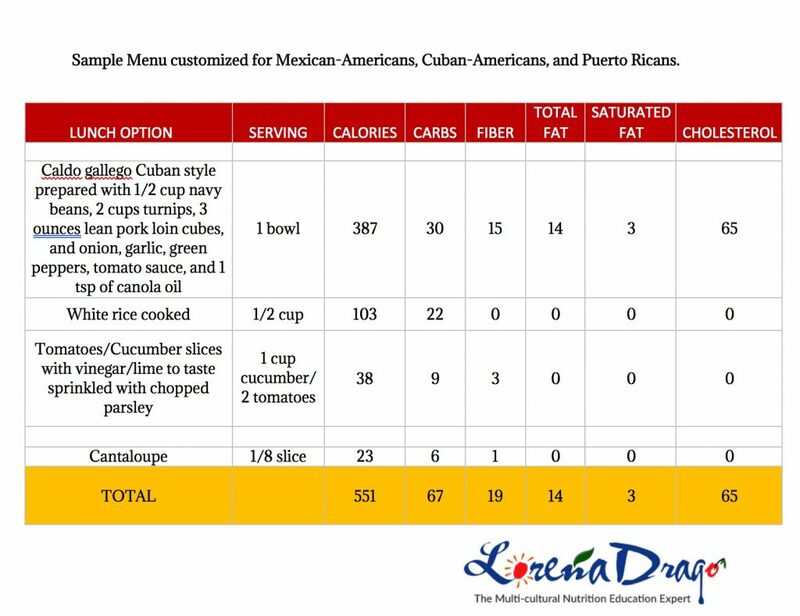 The 4-cups (1/4, 1/3, 1/2, 1) have the carbohydrate content of popular foods on the outside of the cups in English and Spanish. NO need to search for the food package and read the nutrition facts label to determine the carbohydrate content. Interested in other teaching tools? 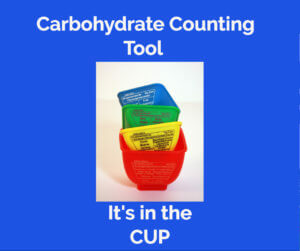 Check out the Carbohydrate Counting Activity Tool and download a 2-page handout to teach how to identify foods with carbohydrates and the amount of carbohydrates in popular foods. Take a look at my book, 15-Minute Consultation: Tips, Tools and Activities to Make your Nutrition Counseling More Effective chock-full of teaching ideas.